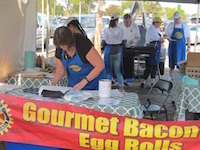 Run jointly by the Rotary Clubs of Subiaco and Heirisson the Bacon and Egg Gourmet Burger stall is our main fundraising venture. 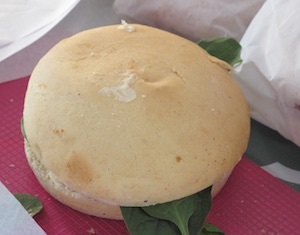 We also support the Rotary Club of Karrinyup who run the Stirling Markets and the stall holders from whom we buy our freshly baked buns, free range eggs and baby spinach. 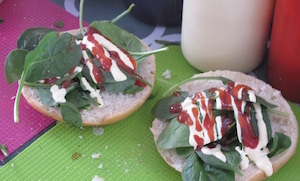 A 'classic' burger includes spinach and hollandaise sauce, but we offer tomato and barbecue sauce as well. 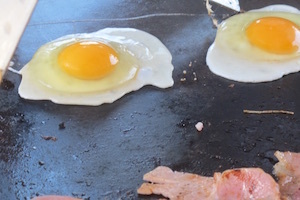 Stall holders and market-goers alike enjoy the opportunity to specify exactly what their burger should be like (well cooked, runny eggs, no bacon, double-bacon) personal service they get from the "A-team". 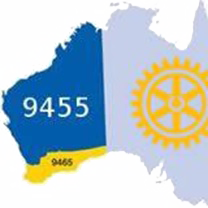 The money raised from B'and'E is used by each Rotary Club to fund their local and international projects and their donations to other Rotary projects like "End Polio Now", InterPlast and Shelterbox.